WGV is a 2.2ha medium density, 100 dwelling residential infill development located in the City of Fremantle. Led by the WA State Government’s land development agency LandCorp, WGV demonstrates design excellence on a number of levels by incorporating diverse building typologies (detached houses, town houses and apartments), climate sensitive considerations, solar energy generation and storage, innovative water management and creative urban greening strategies. The project has received international certification as a One Planet Living community. As a LandCorp ‘innovation through demonstration’ project, WGV is being used as the basis for several concurrent research programs designed to explore novel approaches to urban densification, affordable housing and sustainable development. These include a four year ‘Living Lab’ research project funded by the CRC for Low Carbon Living, an ARENA funded study into the application strata-body operated solar energy storage, and an industry-led initiative that will showcase leading urban water initiatives. 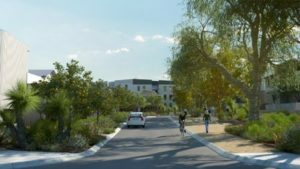 WGV will also be home to Australia’s first Baugruppen project, which itself is being run as an applied research project to test this model of affordable housing delivery under Australian conditions. Over the coming months, the Density by Design web series is following the development of WGV from construction, to completion, through to occupancy. It is focusing on the mechanisms used to achieve low carbon outcomes, their acceptance and uptake, and how to making them mainstream. In our introduction episode to WGV, we explore the background to the project, how it came about, and what the team behind it are hoping to achieve. We take a close look at the urban design principles underpinning WGV and we examine the planning mechanisms and design controls put in place to deliver the vision of a diverse, medium-density, highly liveable residential precinct. 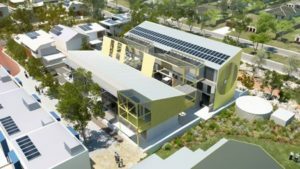 Informed by early research by Curtin University and the CRC for Low Carbon Living, we find out what sets this project apart from others around Australia. For more information watch the video above or go to WGV Innovation. This episode showcases the innovative approaches to multi-residential housing that are being trialled at WGV, ranging from the Gen Y Demonstration House by LandCorp, SHAC by Access Housing, through to Australia’s first Baugruppen project. We learn how the various projects are attempting to address housing affordability, sustainability and community participation. WGV is targeting ‘net zero energy’ status, meaning it will generate as much energy as it uses, balanced over the year. This will be achieved through a combination of energy efficient building design, coupled with rooftop solar energy generation. 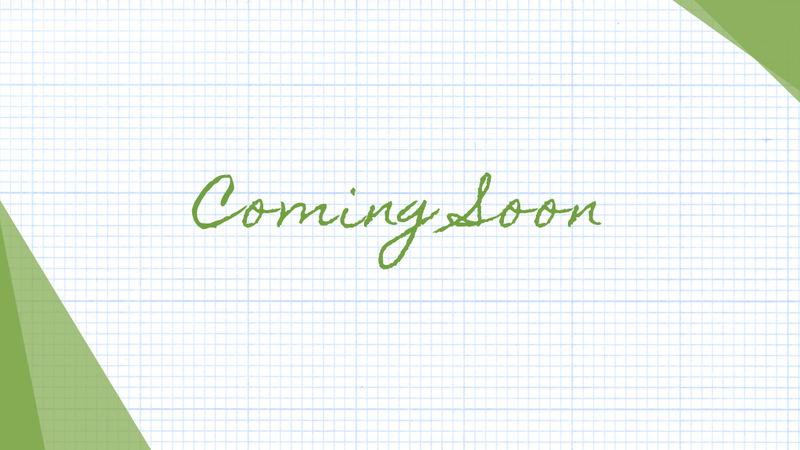 The apartment sites are incorporating solar energy storage which will see grid energy reliance reduced by up to 80%. This episode looks at the design strategies, technologies and governance models employed to achieve this goal. For more Information watch the video above, download the WGV Design Guidelines or go to WGV Innovation. This episode details how WGV is demonstrating leading water sensitive urban design through an integrated approach to water conservation, stormwater management and urban greening. Household mains water use is expected to be 70% less than the local average as the result of a suite of water efficiency and alternate water supply initiatives, including plumbed rainwater tanks and a community bore. Smart metering will capture water use data in real time to inform responsible water-use, supported by resident engagement programs. Buildings are operated by people and precincts are brought to life by community. This episode will cover the strategies put in place to create ownership and a sense of participation in the creation of WGV, from the design phase, through construction and eventual occupation. We’ll investigate the impact of occupant behaviour on the performance of dwellings and discover just how important the role of community is for residents to adopt low carbon lifestyles. PROJECT SERIES WRAP - WHAT HAVE WE LEARNED? As the WGV precinct nears completion we will reflect on what has been achieved and assess the on-ground outcomes against the original vision of the project, which was to create a medium density, low carbon, residential development of national significance. We will review early performance data and other research outcomes to date, plus call on expert opinion to assess the importance of WGV as an ‘innovation through demonstration project’.